We need two people to haul there, and two to bring our stuff home! If you are hauling in the morning, plan to arrive around 10:30 am so we can be set up by 11a.m. If you are hauling back from the market, feel free to start packing up about 2:45p.m. Hauling the Common Cycle trailers to the Mobile Repair Stand isn’t nearly as hard as you might suspect, but after you’ve done it you still get to feel like a superhero: each one is close to 200 pounds! You don’t need to be super strong to haul the trailers; you just need to be comfortable riding really slowly. If you volunteer to haul for the first time, we’ll make sure someone experienced is there to help you out with loading the trailers and making sure the hitch is on right. When you sign up to haul, you’re responsible for loading up the trailers, hauling them to the market or shed (a 1.7 mile trip), and unloading them. The trip from the shed to the Market is more uphill than down. If you’re worried about hauling your first time, sign up for the trip home! 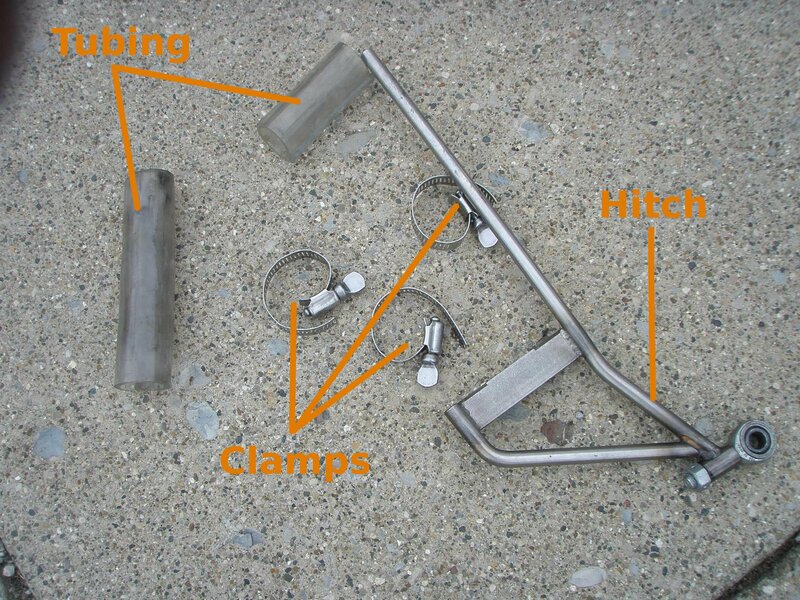 Attaching the hitch is easy and doesn’t require any tools. The hitch attachess to you seat and chain stays with hose clamps; small tubing sections wrap around your frame to keep it safe! 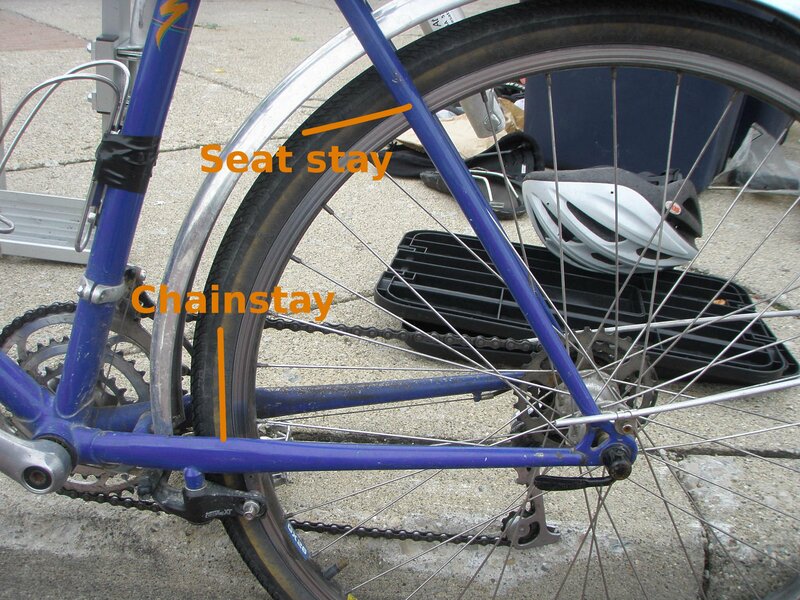 2) It gets clamped onto your seat and chain stay. 3) Like this! 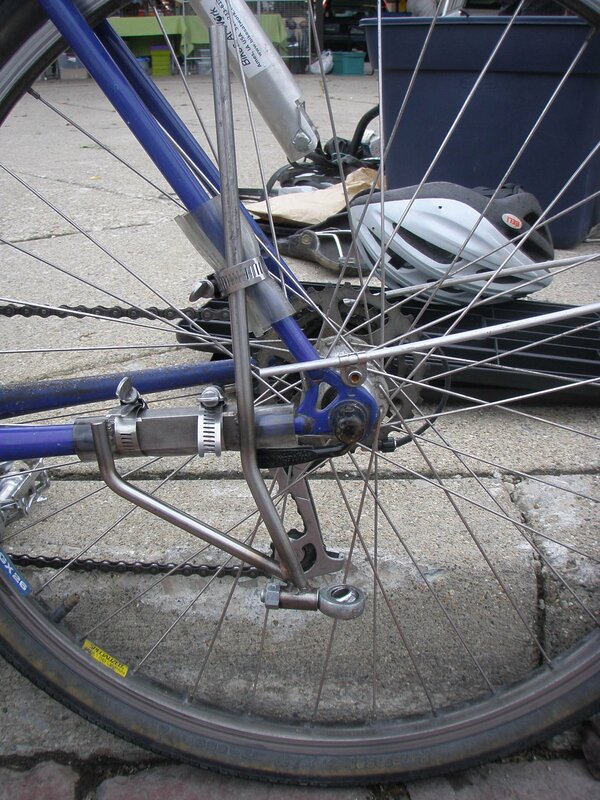 Be sure to tighten the hose clamps all the way so that the hitch doesn't loosen. The trailer attaches with a cotter pin, which should be stored with the trailer.